The public library. 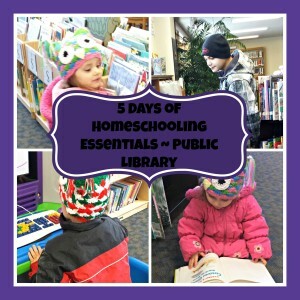 What better place is there for homeschool families? Do you understand how much money you save by borrowing books when you need them versus if you had to buy all those wonderful books that you use for a few weeks? Our library is wonderful! I couldn't ask for a better library! 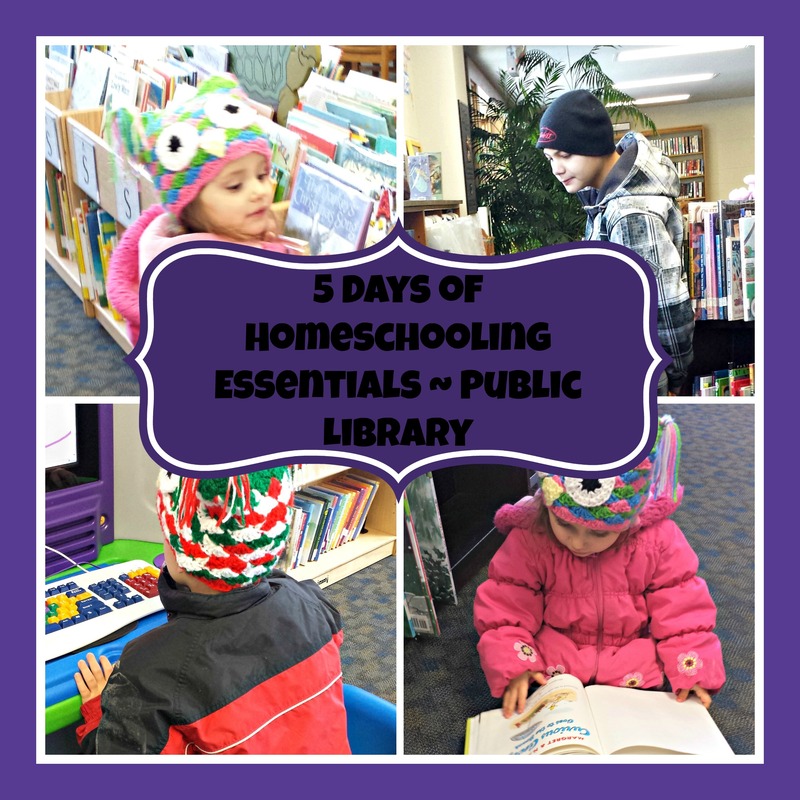 I wasn't homeschooled, but I grew up at the library. I love the librarians and they know our family. In fact, one of them has been working there since I was little. 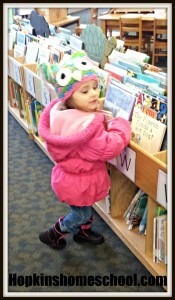 Having a librarian who knows your name and your children's names makes it so much more fun to go there. 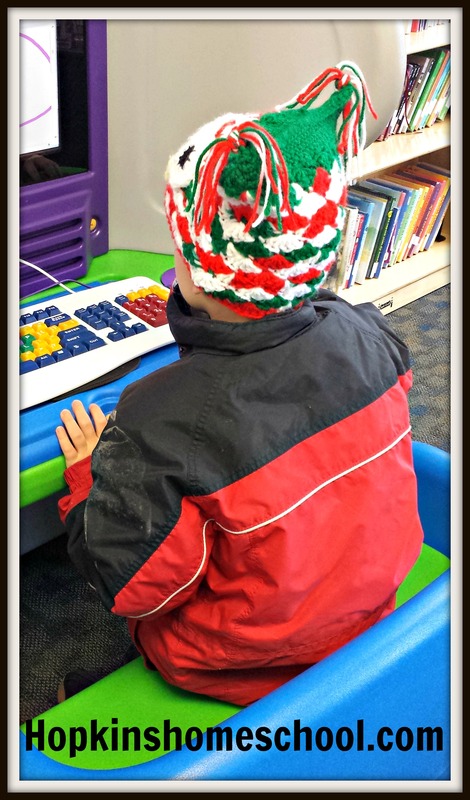 We go to the library every week. In fact, today (Wednesday) is our library day. We start the morning out by going to the preschool story time. Moe Man is able to sit in and read his book, or work on a project while the littles sit and listen to the story. Than we all work on a group project together. It is nice to have open "arms" to the older homeschool kids when going to something like this. 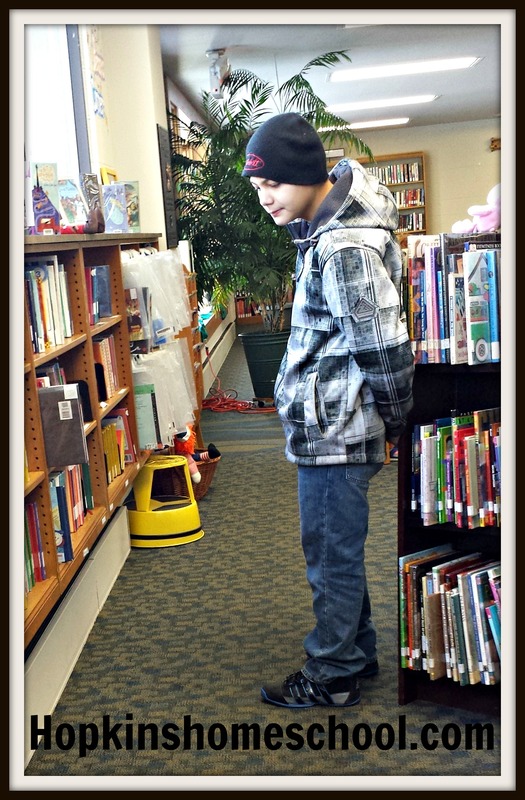 After we have some fun, we walk the hallway over to the library. Return our books, hopefully before they are late, and the adventure begins. 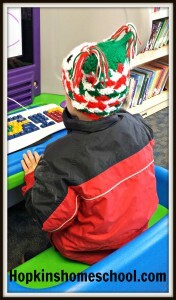 We are able to play on the kid computer for a while, sit down with books and pick out our new books. Our library was recently remodeled. I LOVE how it is set up now with smaller shelves for the kids books and an open design that welcomes us in. Normally we are not yelled at for being too loud, but I have found that there are better times to go with the kids (after story time is that time!). 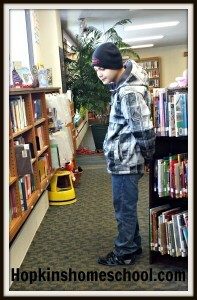 I am able to look at my books, and still see the kids and what they are doing. This makes for a more enjoyable visit for everyone. We are also able to request books with an interlibrary loan. This makes it more convenient for me. After I plan out the school week and see what I need for books, I hop online and put in my requests. I have it set up so I get emails as to when the books arrive. Usually within a day or two. I love being able to walk over and grab a pile of books and go back to spending time with the kids instead of searching for the books I want/need. The library holds so much fun and adventures. When we do our Five in a Row books, I am able to find them at the library (although I like to add them to our wish list after). When we do a unit study, I can find a huge supply of any books I want and pick and choose. And the fun doesn't stop when the summer months arrive. We have a fun reading program over the summer. Each year is different and changes based on the ages. There is something new each week to make the kids want to come back again and again. They give out prizes and reward the kids for a job well done. I love my library. I couldn't homeschool without it. I would be so lost. They have helped me open doors for my kids and show them the love of reading as I have. I would not change my library for anything! Do you have a good library near you? 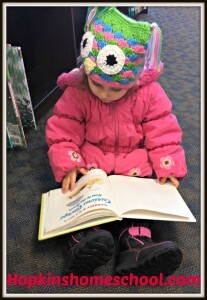 What are some fun things you have done at your library? 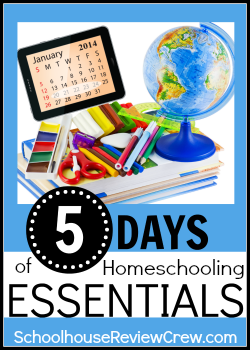 Are you following along with me and my 5 Days of Homeschooling Essentials? Have you checked out any of these other ladies yet? I have been! Dawn @ Guiding Light Homeschool Hands-On! There are over 90 of us blogging on this topic this week. Check us out by clicking the picture. I can't wait to tell you more tomorrow. We are getting closer to my main essential on Friday. I can't wait to share it with you! Did you miss any days? Check them out here!